Earlier this month I attended a preview for Diptyque's new e-commerce launch. Diptyque's luxuriously scented candles are my favorite, especially Baies (bouquet of roses and blackcurrent leaves) since I love fruity scents. 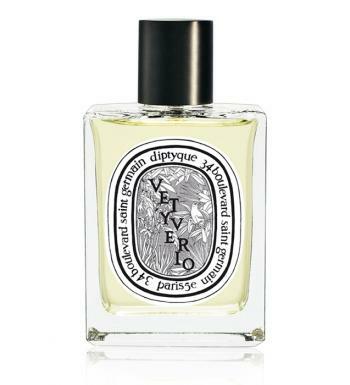 Through diptyqueparis.com you can shop by personal and home fragrances and body care. You can shop by fragrance (eau de toilette, colognes or travel sprays), by scent (citrus, fruity, spicy, floral, woody, herbal and more), by ingredient (cinnamon, citrus fruits, fig leaves, grapefruit, jasmine, thyme and more) or check out the best sellers or gifts. Next year Diptyque will be celebrating their 50th anniversary. In 1961, Yves Coueslant, Christiane Gautrot and Desmond Knox-Leet opened the first Diptyque shop at 34 boulevard Saint-Germain, Paris. These three artisans, friends and partners originally showcased their avant-garde fabric designs and textiles and decorative, unique and unusual items from their travels. The name Diptyque was inspired by the two diptychs or windows flanking the front door of the original boutique. Diptyque's first scented candles were launched in 1963 - Aubépine/Hawthorn, Cannelle/Cinnamon and Thé/Tea. In 1968, the first line of diptyque fragrances was launched, starting with L'eau, a non-gender specific scent of cinnamon, clove, geranium and sandalwood rose - spices and flowers inspired by a 16th century recipe. Currently diptyqueparis.com is only available to U.S. customers, but has future plans to launch in Europe and Asia. Every online order is packaged in a cotton bag and tissue-lined box.